business has problems closing or opening, the repair experts at Action Garage Door are here to help. We provide fast, dependable garage door repairs in Sugar Land for both residential and commercial customers. With the help of our trained technicians, your garage door will start working properly again for your safety and convenience. We have been offering quality repairs for Sugar Land customers since 1984, and we remain dedicated to providing the best service around. Give Action Garage Door a call to schedule your repairs or to get an estimate based on our affordable pricing. 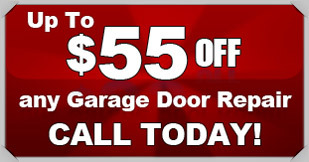 Action Garage Door is the leading garage door service in Sugar Land. Because of our high quality products, qualified professionals, and many services, our Sugar Land garage door repair company is one step above the rest. When you want the best in garage door repair and other services, you have to turn to the best. 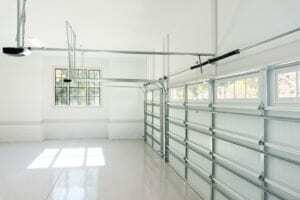 For years, we have been providing residents all over Sugar Land with the garage door service they need to have their garages in the best working order. As a garage door repair company that is committed to customer satisfaction, nobody beats Action Garage Door. Our family-owned business has been satisfying customers for 30 years and we are waiting to help you find the services you need for your garage door in Sugar Land. Our products can withstand the elements and our work is always performed according to local codes. At Action Garage Door, we understand you have many needs when it comes to garage door service. For this reason, our garage door service goes way beyond simple repairs. We not only fix cables and springs, we also repair malfunctioning rollers and much more. 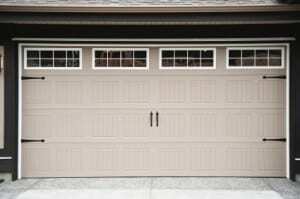 Is it time to replace your garage door? If you need a new one for your home or business in the Sugar Land area, Action Garage Door has the best selection and service around. From Classica doors and Oak Summit, we’ll go over your options with you and help you choose a garage door that enhances the look of your home or business. 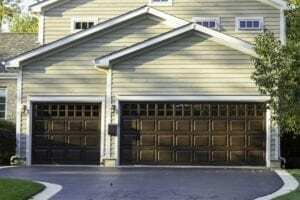 We install residential and commercial garage doors for property owners in and around Sugar Land. With a commitment to offering competitive prices and the best warranties, you can rest assured that your home or business will have a high-quality garage door that is properly installed. No two home or business owners are alike, and our garage door repair company understands that no two will want the exact same garage doors and set up. At Action Garage Door, we offer a variety of garage doors for installation in Sugar Land homes and offices. Some of our options include, Carriage House, Olympus, Classica, Stratford/Heritage, and Amarr garage doors. 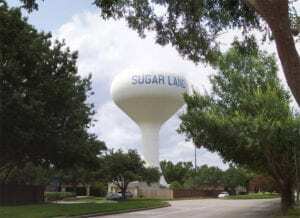 Sugar has its headquarters located in this city, but the biggest employers are Fort Bend Independent School District, Fluor, Schlumberger and Methodist Sugar Land Hospital. Sugar Land residents have an average income per capita of $45,611 and an average household income of $105,400. The city’s cost of living is above the average for the U.S. and the average for Texas, but it also has low crime rates, excellent amenities and highly rated schools. The average cost of a home in Sugar Land is $263,700, which is much higher than the U.S. average of $175,700 and the state average of $131,400. Sugar Land residents enjoy living in a thriving city that provides them with quick access to Houston and everything it offers. In addition to great schools and a safe environment, the city also has plenty of other things to offer. Sugar Land has a number of volunteer opportunities and civic involvement opportunities for residents to participate in. Residents can learn more the city’s first responders by attending the Citizens Police Academy or the Citizens Fire Academy. Residents can also take the Sugar Land 101 course to learn all about how the city functions from a political perspective. Other opportunities include Sugar Land Airport Academy and Community Assistance Support Team. The city also holds several events, including the Cultural Kite Festival, a Memorial Day Ceremony, Halloween Town and Star Spangled Spectacular. Sugar Land makes a great vacation spot for a number of reasons. Those who visit this city will quickly find that it has several things to do and places to see. From recreation and local attractions to shopping and dining, Sugar Land provides visitors with plenty of ways to fill their days while they’re in town. Visitors who like being outdoors as much as possible during vacation can head to one of the city’s parks for some leisure time and relaxation. Lost Creek Park has a 3-mile walking trail for visitors to explore, as well as play areas for kids. 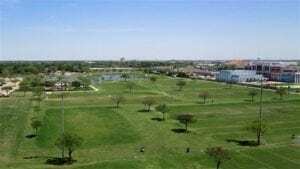 Imperial Park, which is right next to Sugar Land Recreation Center, has 44 acres of parkland to enjoy. The park is also known for its disc golf course, which provides a fun way to spend an afternoon. Those who prefer live entertainment and the arts also have plenty of options in Sugar Land. Visitors can wander through the Sugar Land Art Center and Gallery to see works of art done by local artists. Those who want to try their hand at creating their own works of art can sign up for a class or workshop while they’re in town. Visitors who want to see local talent perform live can make plans to go to a musical or play at Inspiration Stage. When it comes to Sugar Land shopping and dining, visitors can relax with a cup of tea at Serenitea Tea Room, which features a classic tea room menu with finger sandwiches and more. Sugar Land also has many other dining establishments to choose from for a meal or a snack. Sugar Land also has several shopping centers to check out, such as First Colony Mall and Sugar Land Town Square. To get started with your garage door repair, installation, or replacement, contact Action Garage Door in Sugar Land today and let’s talk about the options available from the garage door repair company that has been caring for customers since 1984. Fantastic, knowledgeable, knew his garage doors and hardware. We would have never believed that the door could have been repaired – but Richard looked over the damage, figured out a solution, gave us a fair price, finished the work and cleaned up. The door works better than new! Quick diagnosis, great service, quality technician, great warranty. Done right and very quick. They gave a military discount when I purchased a new garage door. Good service. A few scratches in the door when the installed it. Friendly. Our technician, Richard, was excellent! He identified the problem immediately and fixed it right away. Honest, helpful, and friendly. Outstanding service! Will definitely use this company again in the future!